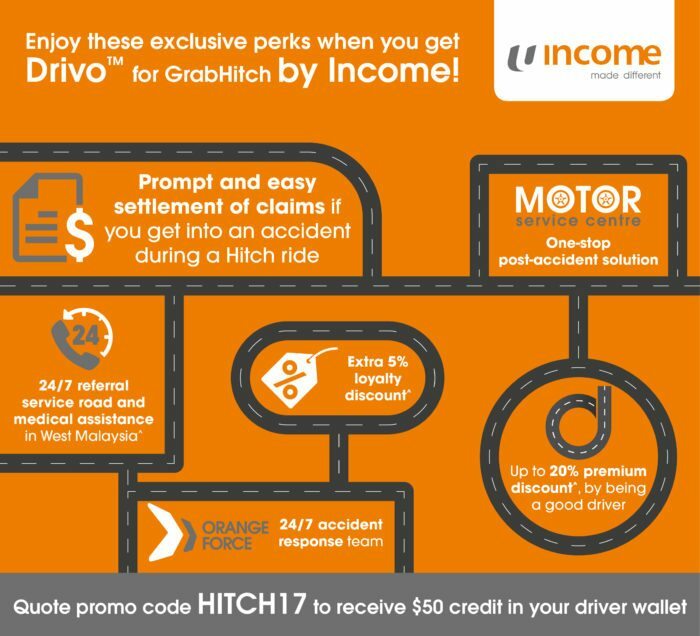 Insure your car with HitchShield and be rewarded! and you can have peace of mind that all your Hitch rides are covered if you insure with any one of them. *Policy terms and conditions apply. Exclusive deal for GrabHitch Drivers! Purchase your motor insurance with either Income (via telesales), Etiqa, MSIG or Sompo (all 3 via their respective online platforms) and get $50 credit* in your driver wallet! Call 6789 9595 and quote HITCH17 to purchase. Head here and use campaign code GH0817 to purchase. Head here and use promo code HITCH18 to purchase. Tip! Click on each insurer to see more details of the offer provided by the insurer. 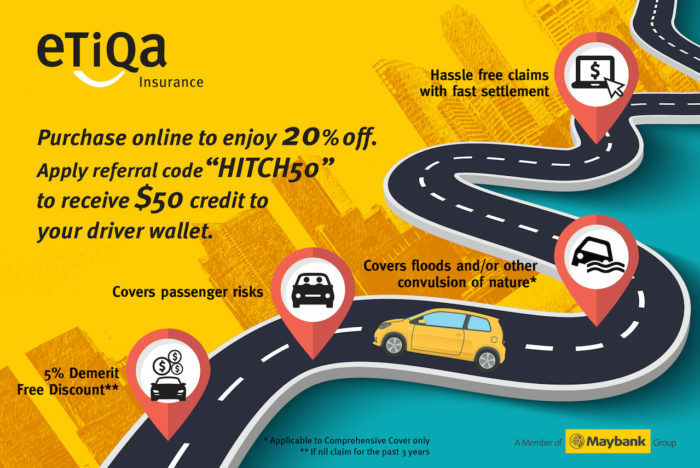 *The $50 credit is only applicable to approved Hitch Drivers who have purchased a motor insurance policy with Etiqa, Income, MSIG or Sompo with the respective codes. If you are currently insured with Insurer A and you renew with Insurer A on the Panel, you will not qualify for the incentive. However, if you renew with Insurers B, C and D on the Panel, you will qualify for the incentive. of not more than 2 carpooling trips a day. Each trip is defined as the location of your first rider’s pick-up point to your own intended destination and may consist of more than 1 pick-up so long as the pick-ups are along the same way. To qualify for the GrabHitch offer, key in the referral code “HITCH50” after filling in your details for the purchase. ^For more information, refer here. To qualify for the GrabHitch offer,, key in the campaign code “GH0817” after filling in your details for the purchase. To qualify for the GrabHitch offer,, key in the promo code “HITCH18” after filling in your details for the purchase. Leave your detail here and we will give you a call to assist you! Alternatively, do WhatsApp us at 8429 9032 (Monday – Friday, 10am – 6pm) for assistance. Not a Hitch Driver? Sign up to be a Hitch Driver now! Get $20 credit in your driver wallet when you sign up and complete your first GrabHitch ride with referral code HITCHSHIELD by 28 February! More details here. Offer is valid from 22 January 2018 – 21 April 2018 (both dates inclusive). The $50 credit is only applicable to approved Hitch Drivers who have purchased a motor insurance policy with Etiqa, Income, MSIG or Sompo. This means that if you are currently insured with Insurer A and you renew with Insurer A on the Panel, you will not qualify for the incentive. However, if you renew with Insurers B, C and D on the Panel, you will qualify for the incentive. 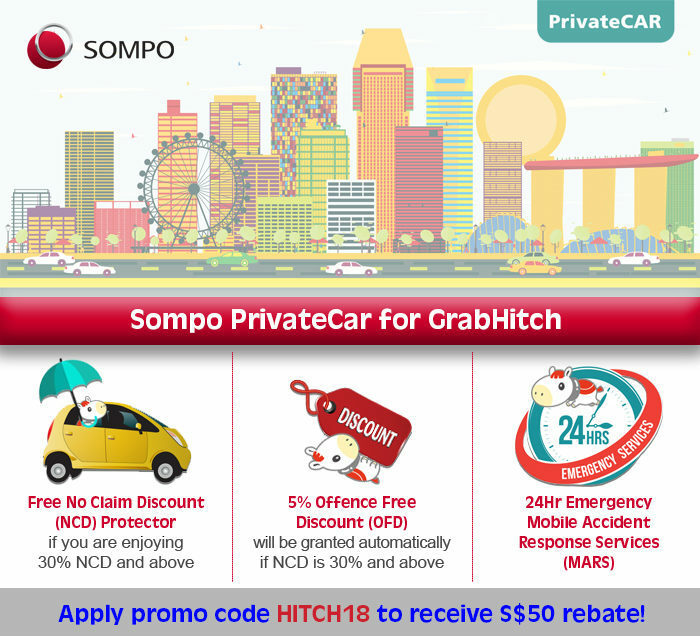 To be eligible for either promotion, Hitch Drivers must clearly state insurer’s promo code during time of purchase, either via telesales for Income, or via the online platforms of Etiqa, MSIG or Sompo. The $50 credit will be credited to qualifying drivers’ wallets 10 working days after the end of the month of purchase. The insurers will only support enquires directly related to the product and application processes. 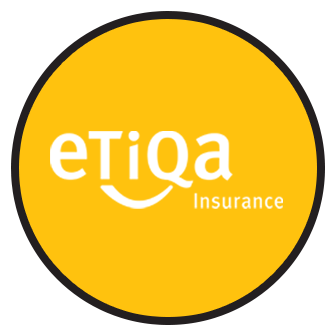 For Etiqa, do contact them at 6331 9225 (Monday – Friday, 9.00am – 6.00pm) for assistance. 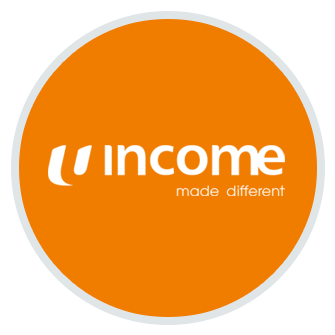 For Income, do contact them at 6789 9595 (Monday – Friday, 8.30am – 8.30pm) for assistance. 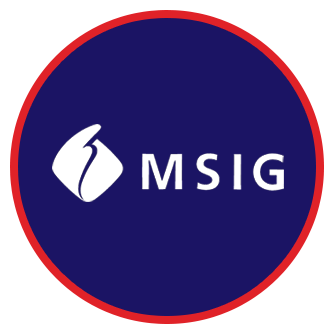 For MSIG, do contact them at 6827 2548 (Monday – Friday, 8.45am – 5.30pm) for assistance. 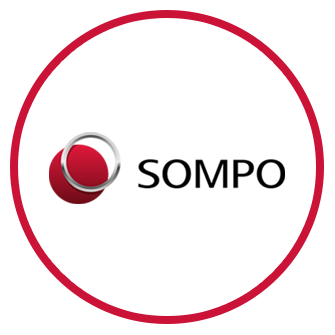 For Sompo, do contact them at 6461 6555 (Monday – Friday, 8.30am – 5.30pm) for assistance. 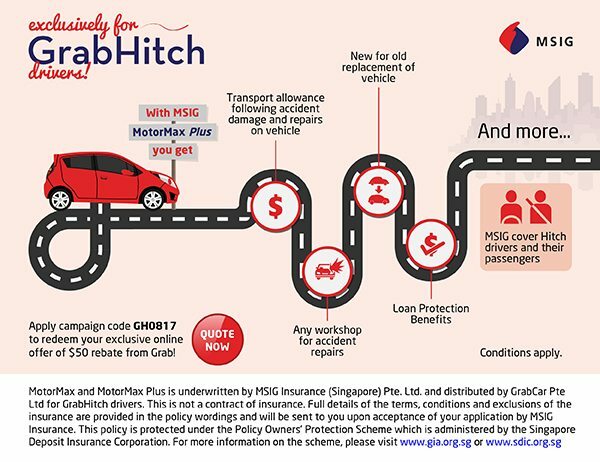 For enquires related to the promotion mechanics, promotion T&Cs and $50 credit, please email support.sg@grab.com with subject “HitchShield credits”. Full terms & conditions for Etiqa here, Income here, MSIG here and Sompo here. Disclaimer: Grab takes no responsibility for the content and description of the deals, products or other benefits listed originating from or provided by third parties such as insurance providers (including the accuracy, completeness, quality, reliability or legality of such content or description and whether such content or description is up-to-date). The deals, products or other benefits listed should be used, accepted and/or relied upon only with care and discretion and at your own risk. Grab shall not be responsible for any loss, damage or liability arising from such use, acceptance and/or reliance.